San Diego Self Storage is a proud supporter of the Boys & Girls Club of Carlsbad. San Diego Self Storage recently served as a sponsor of their annual fundraising event, Vigilucci’s Beach Bocce World Championship. 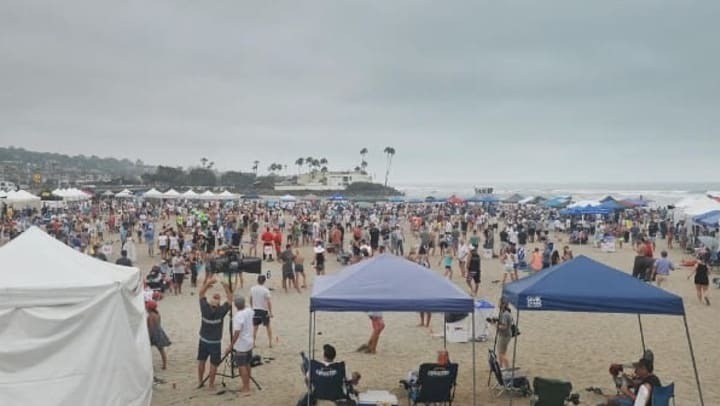 The event takes place on Dog Beach in Del Mar. The 2018 Championship was a great success! A sold out field of 454 teams played 1142 games on 92 courts and raised more than $130,000 for the Boys & Girls Clubs of Carlsbad! The mission of the Boys & Girls Clubs of Carlsbad is to "inspire the community's young people to BE GREAT by offering educational, enriching and fun experiences in a safe environment." San Diego Self Storage is proud to support this mission.